HOURS BEFORE THEIR July 16 show at Cisco Ottawa Bluesfest, five-piece Canadian indie-rock band Mother Mother dished on their favourite gig together as a band, their third studio album Eureka, and the meaning behind their animalistic cover art. Mother Mother’s lead singer and guitarist Ryan Guldemond and bassist Jeremy Page don’t project themselves as typical rock stars. Soft-spoken and articulate, Guldemond and Page couldn’t be more different than the hard-hitting music they produce with Mother Mother. This summer, the pair returned to Ottawa Bluesfest with a new album, Eureka and a harder, more upbeat, sound. “I think we made a more electric-sounding record, which I think is a product of being a touring rock band where you need to meet a level of energy that’s coming at you from the audience,” explains Guldemond. While longtime fans can spot musical similarities between their older material and this new release, the band members reveal the creative process was responsible for giving *Eureka* the edgier sound heard throughout the album. “I think this record is more a product of the meeting minds of the band. It was self-produced, so it was a very independent creation in terms of the band’s control over the final outcome,” says Guldemond, who wrote all the songs and lyrics on their latest release. In the release of their most dynamic record to date, Mother Mother chose to continue the animal theme embodied in their previous album covers. “Continuity is a beautiful thing. We stumbled upon the rooster, from the band’s first album Touch Up, which was a derivative of the lyrics, and we found that to be good potential for a theme. A theme was born accidentally,” explains Guldemond. “Our fans really identify with that, too; they always expect it,” adds Page. 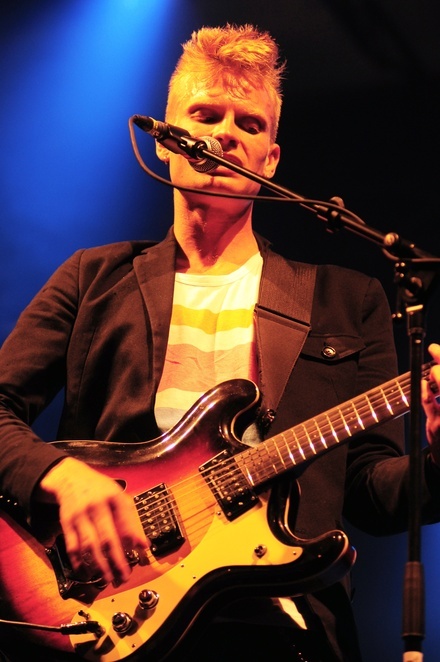 If you missed Mother Mother at Bluesfest, you can catch them at Osheaga Music and Arts Festival in Montreal on July 30. This summer’s Bluesfest will be undergoing a radical thematic change now that event organizers are finally giving in to calls to incorporate more “blues” into the festival. Plans are already being drawn up so that the City of Ottawa can take full advantage of all the hate energy that will be generated by West’s performance. “The festival really started with a single goal: let’s celebrate womxn artists. As a group of local artists, this is something we’d all felt for a few years—that desire to celebrate and connect with other female (and) genderqueer artists.”—Monica Bradford-Lea.